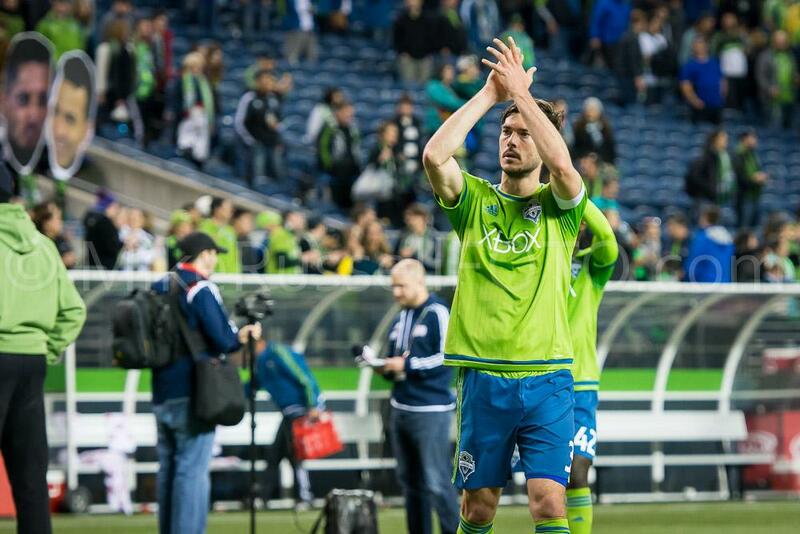 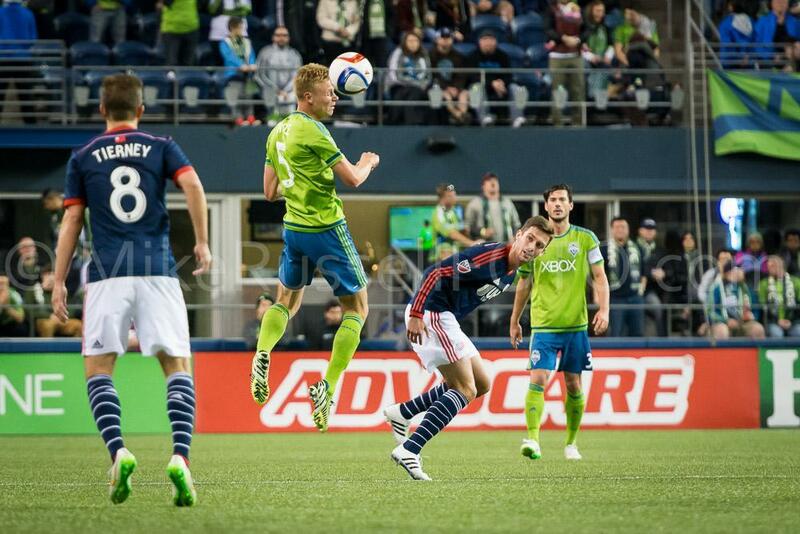 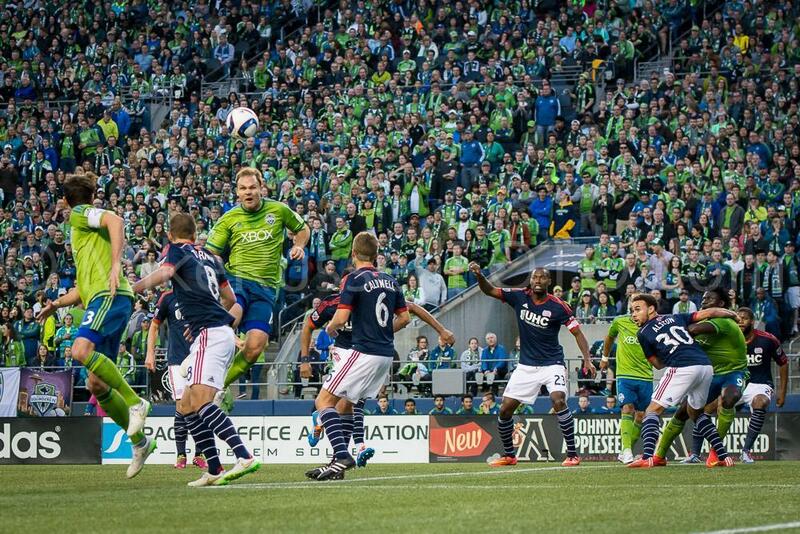 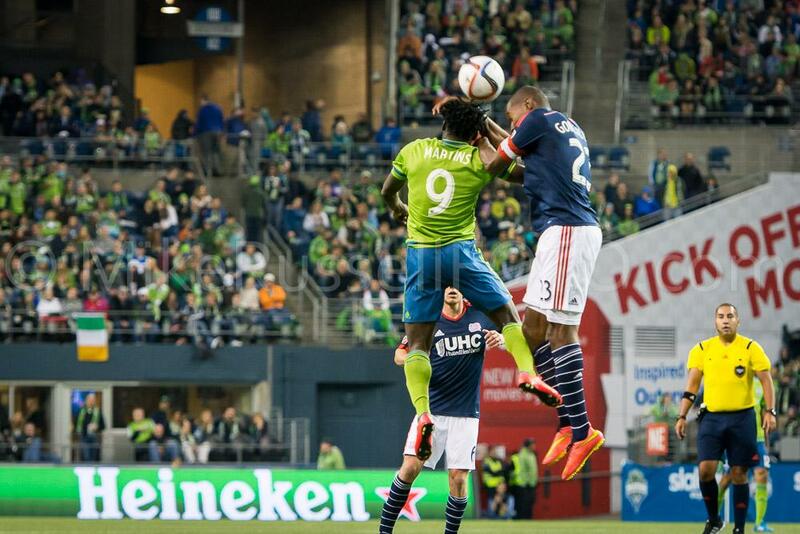 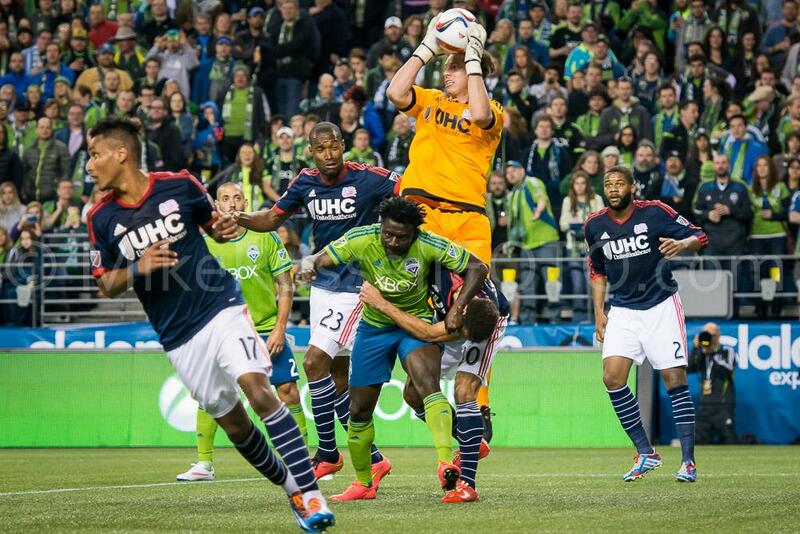 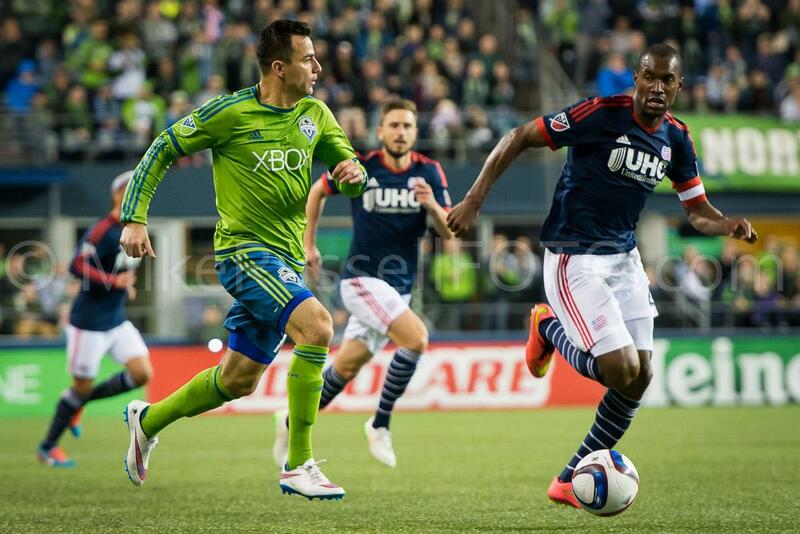 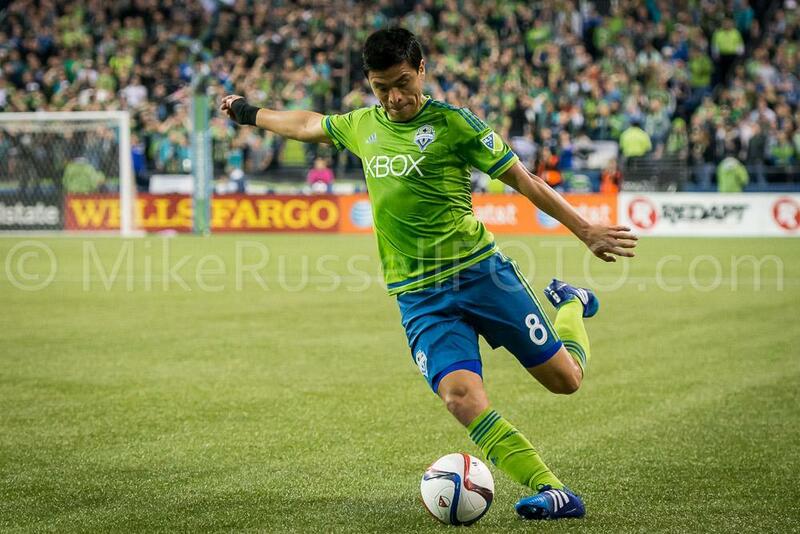 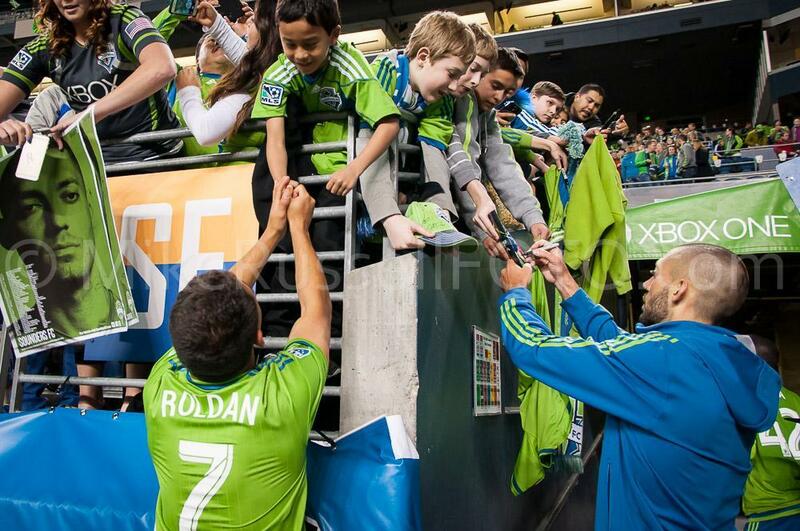 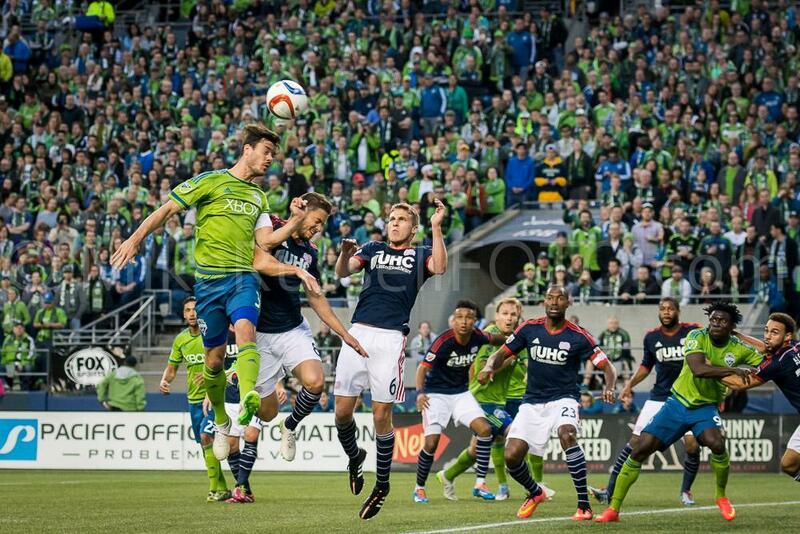 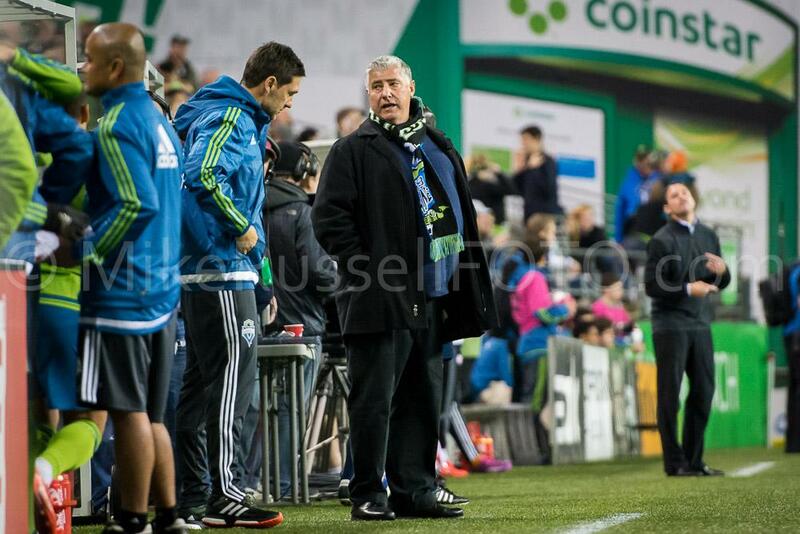 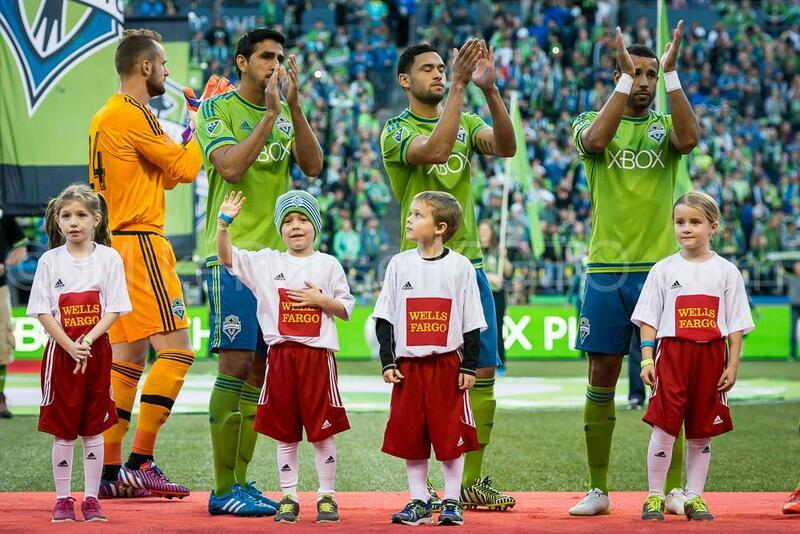 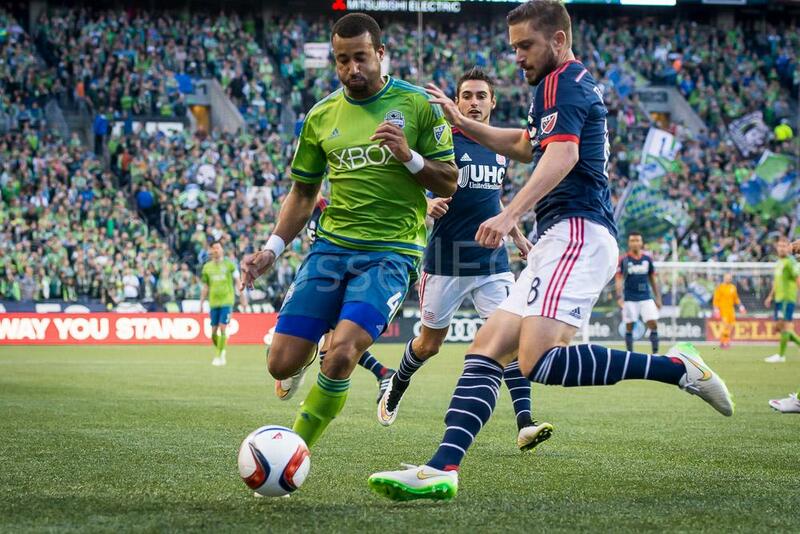 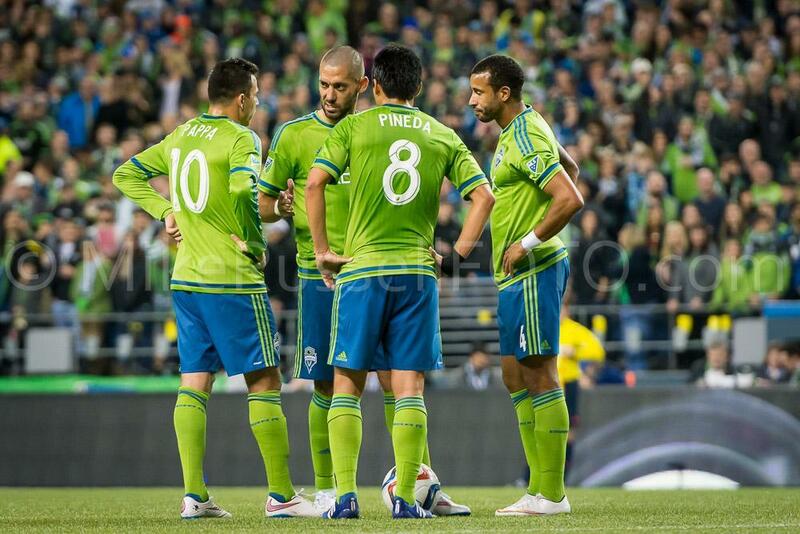 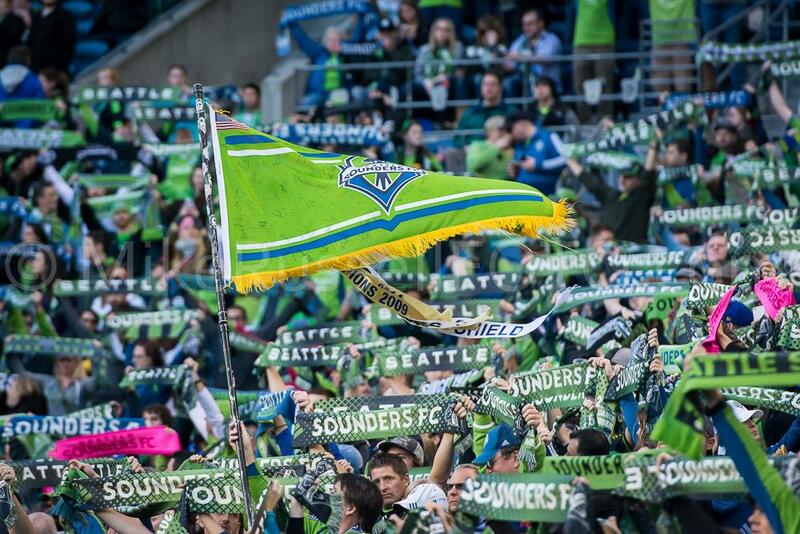 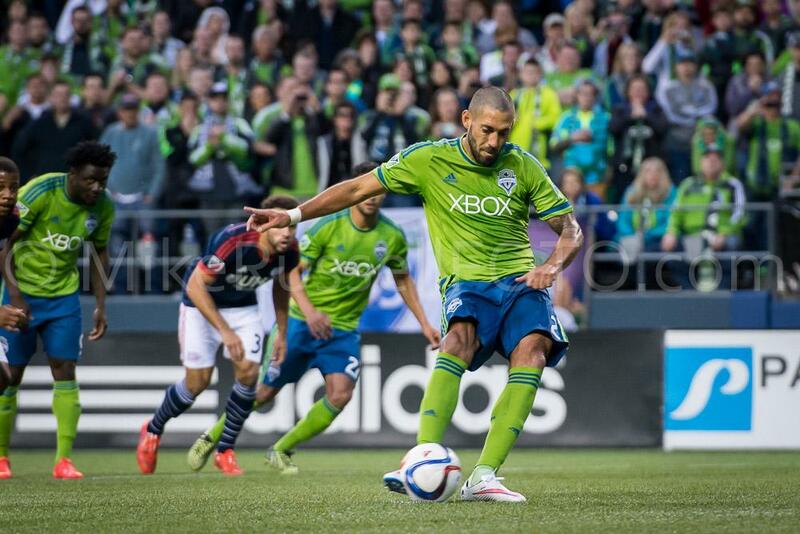 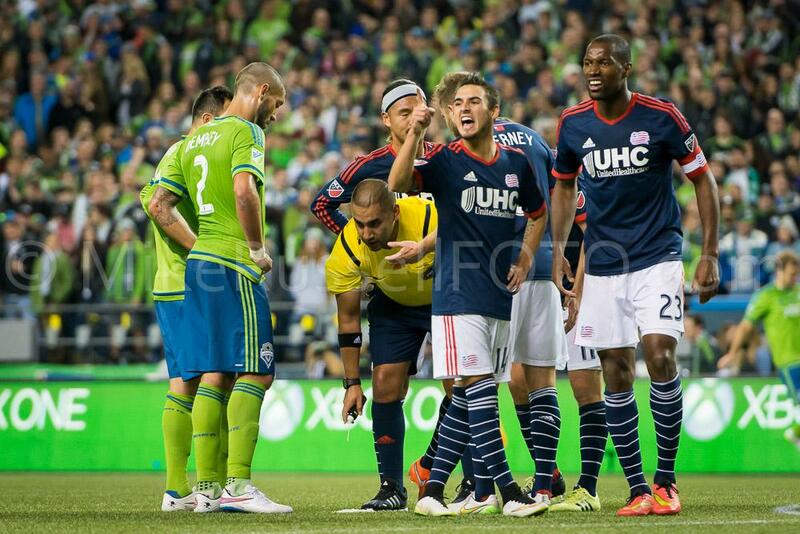 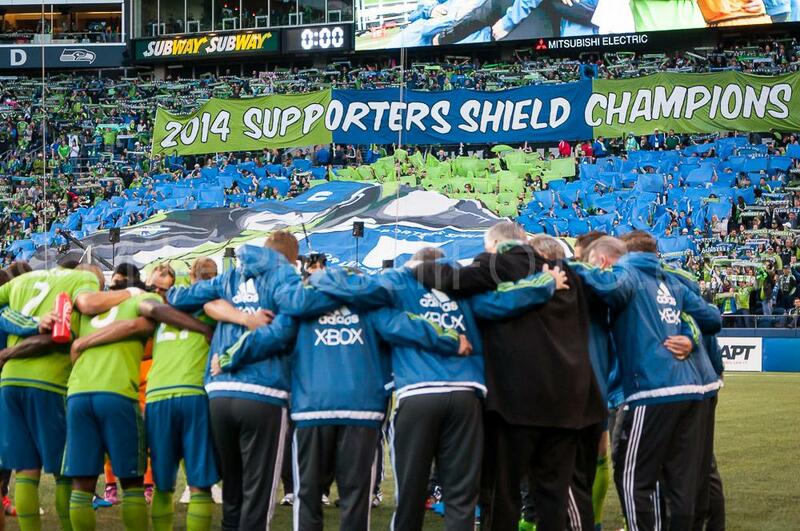 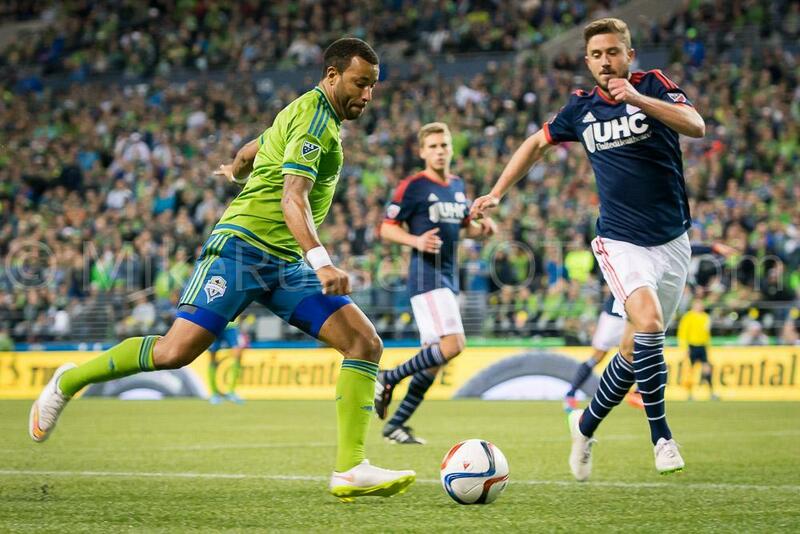 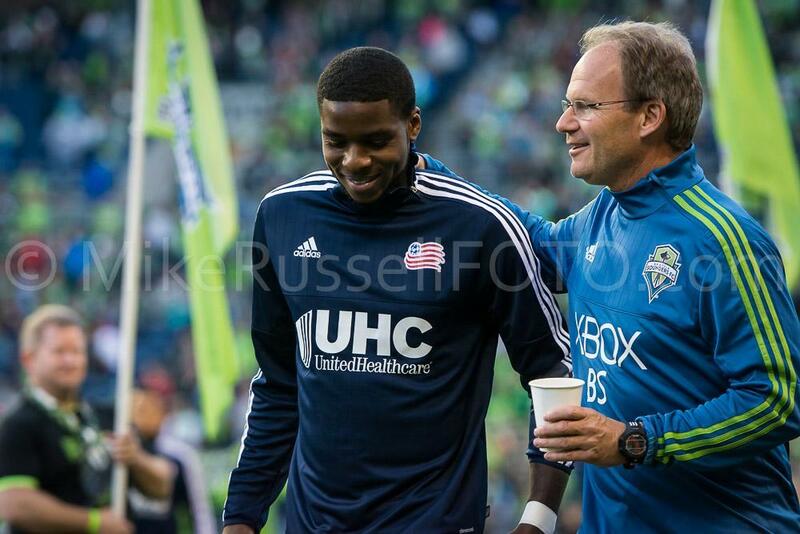 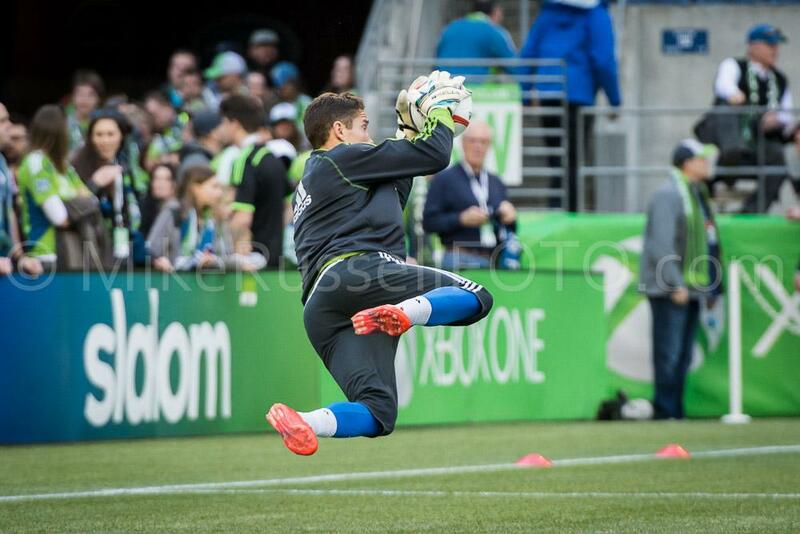 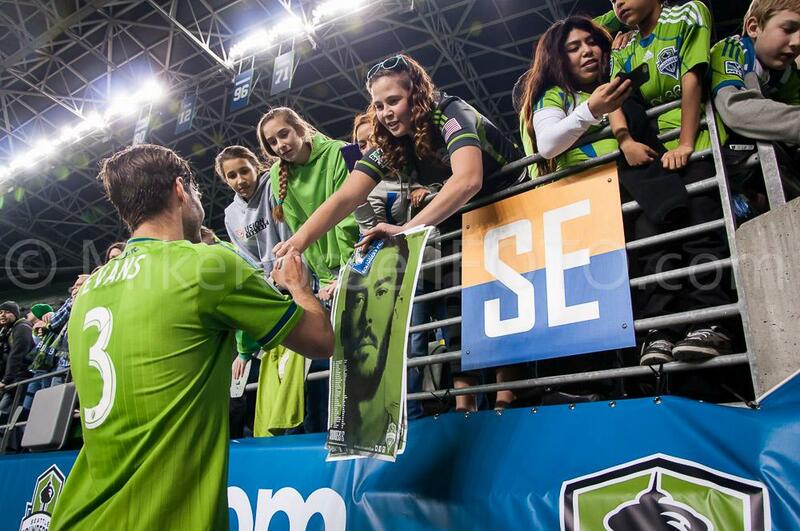 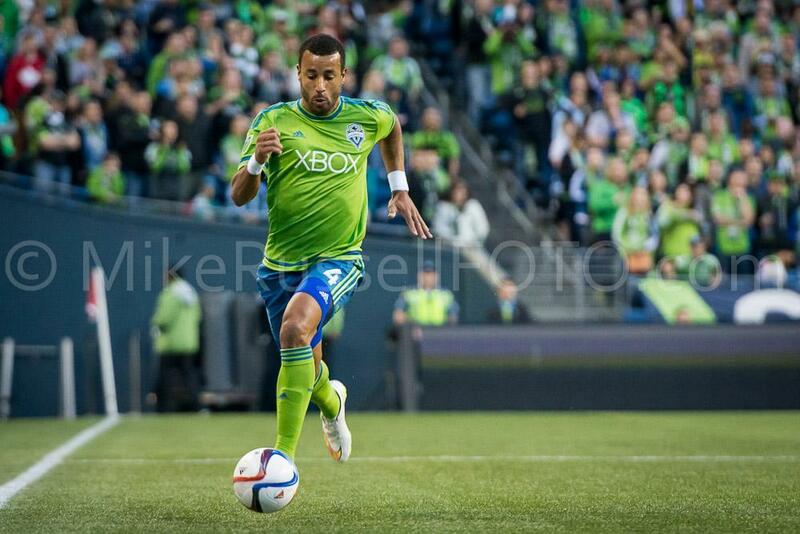 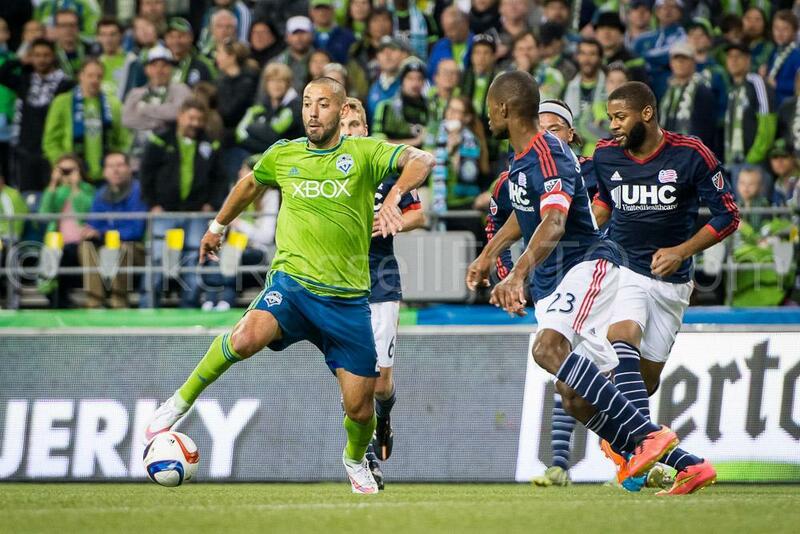 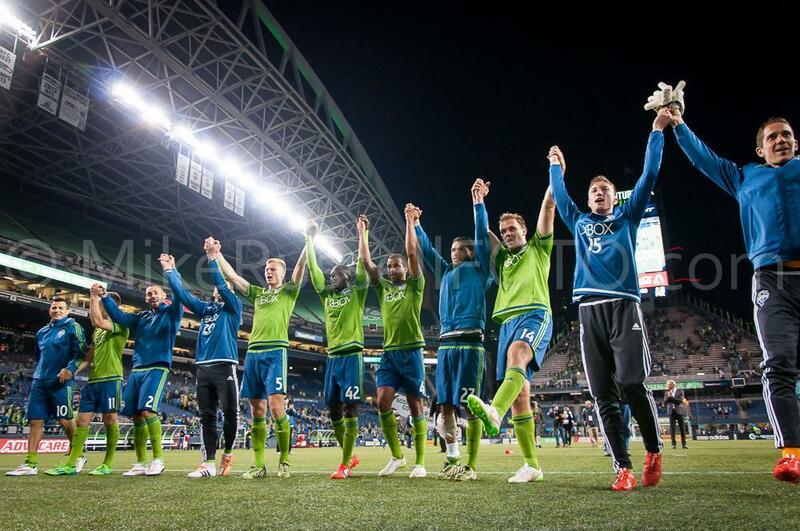 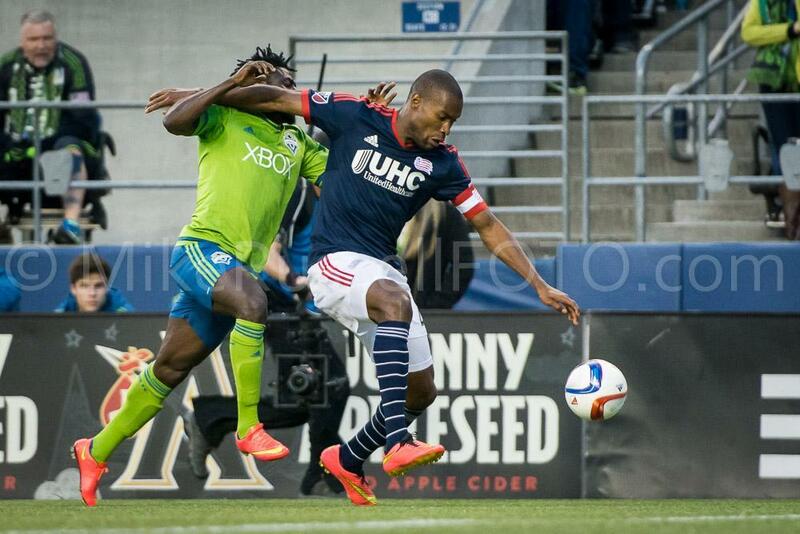 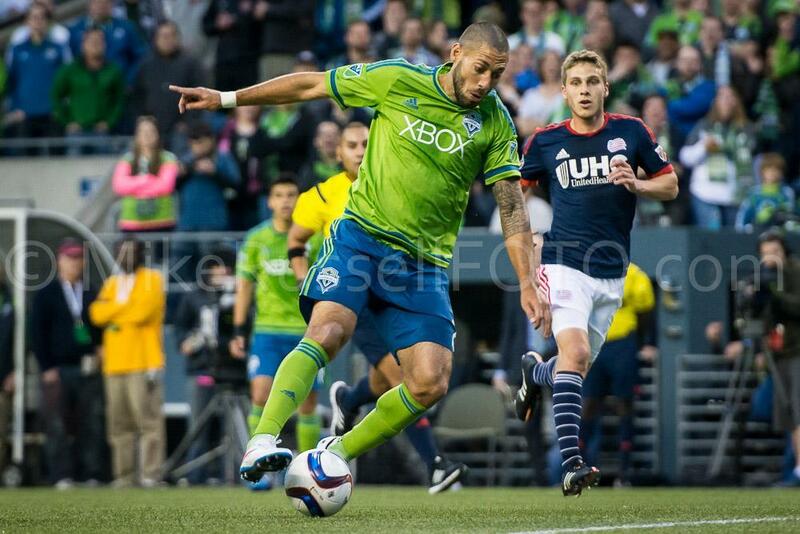 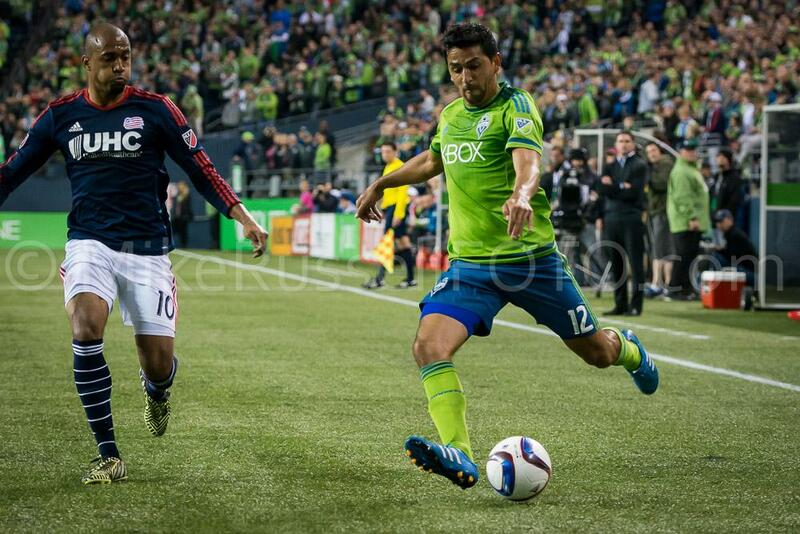 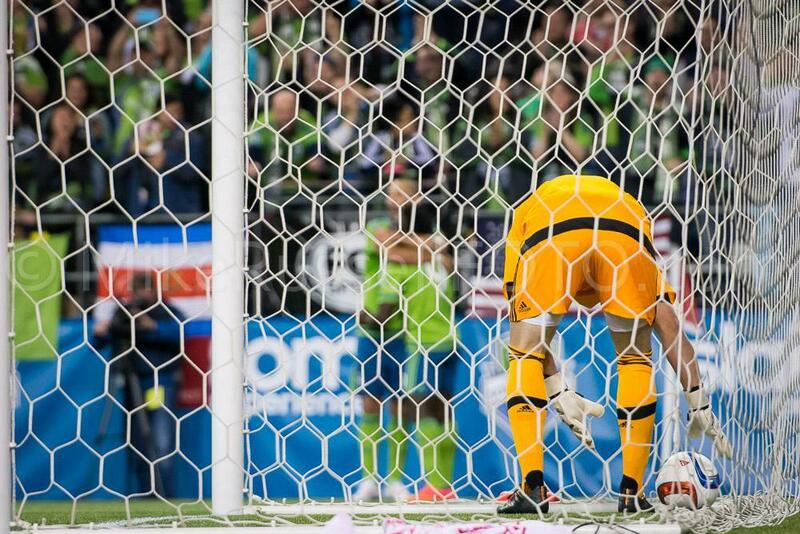 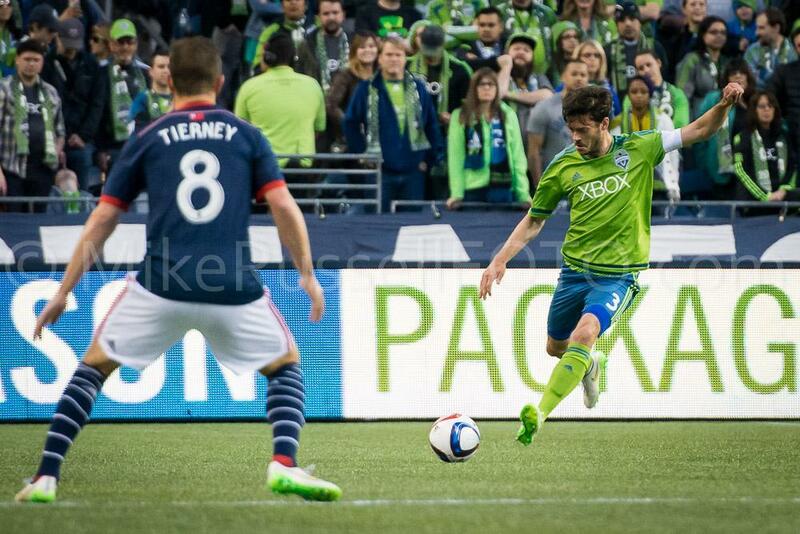 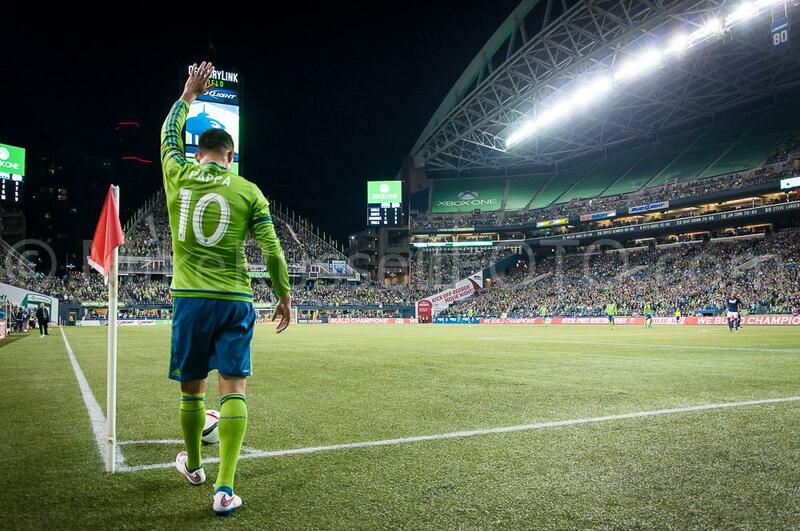 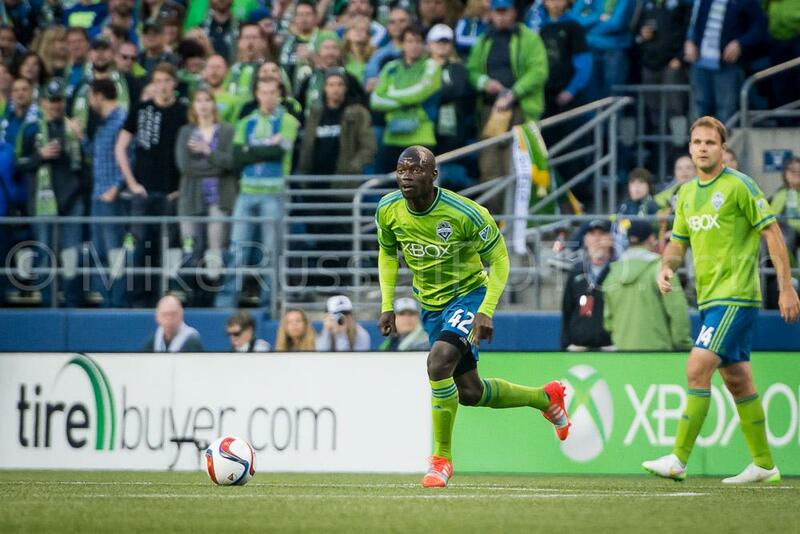 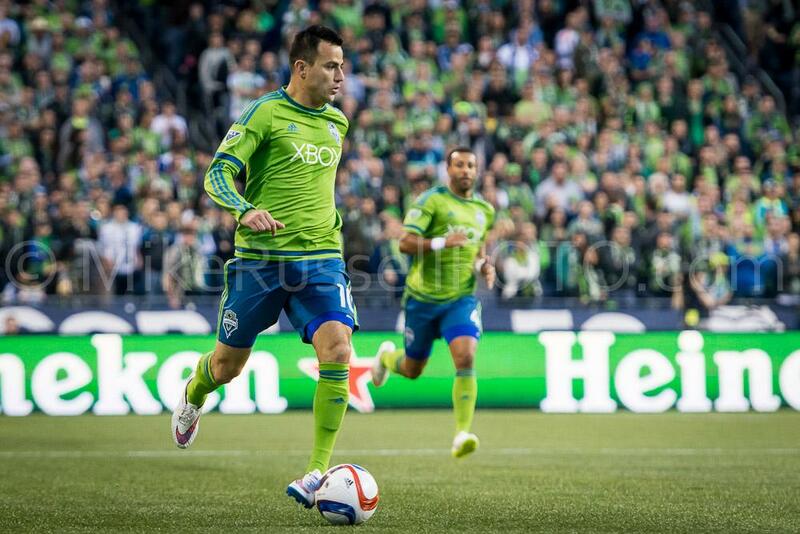 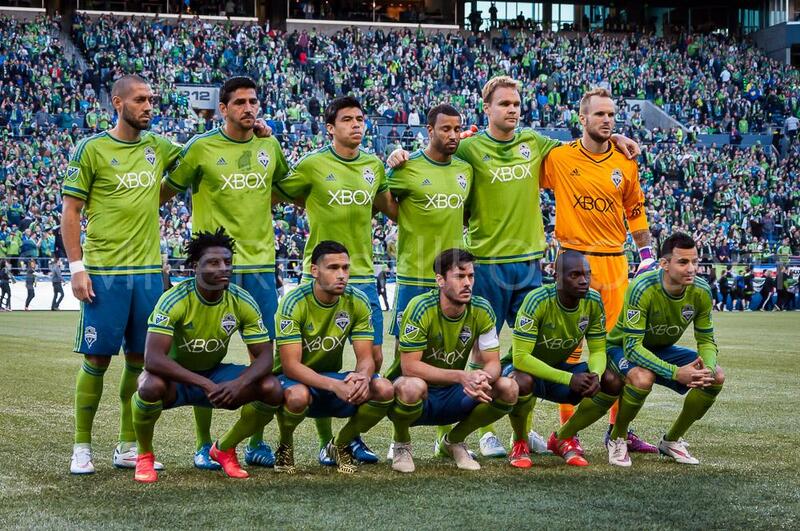 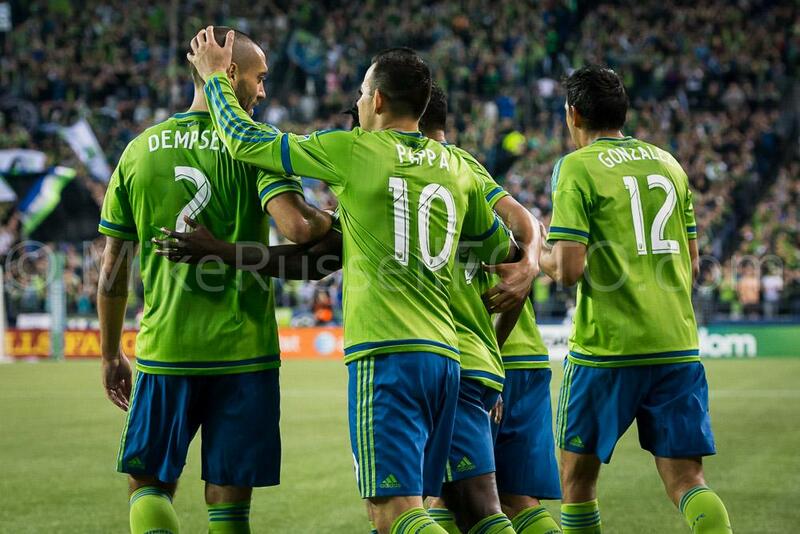 What an amazing way to start the MLS season – Seattle Sounders beat the New England Revolution by a score of 3-0. 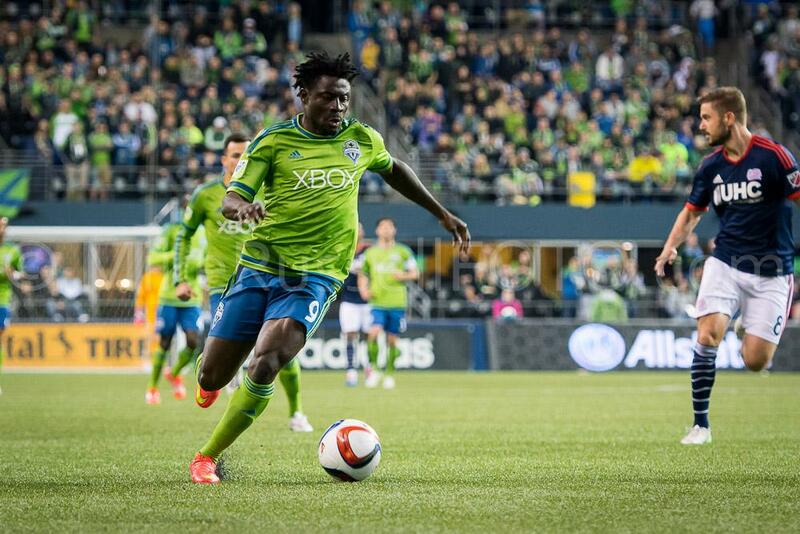 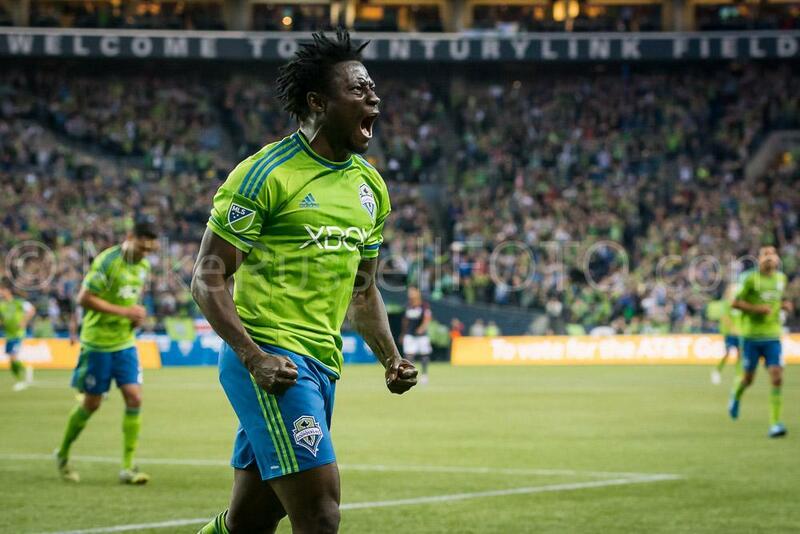 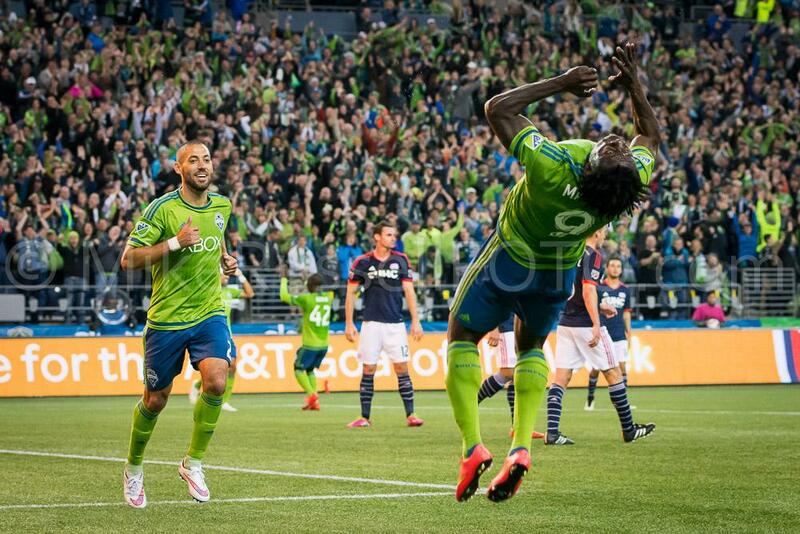 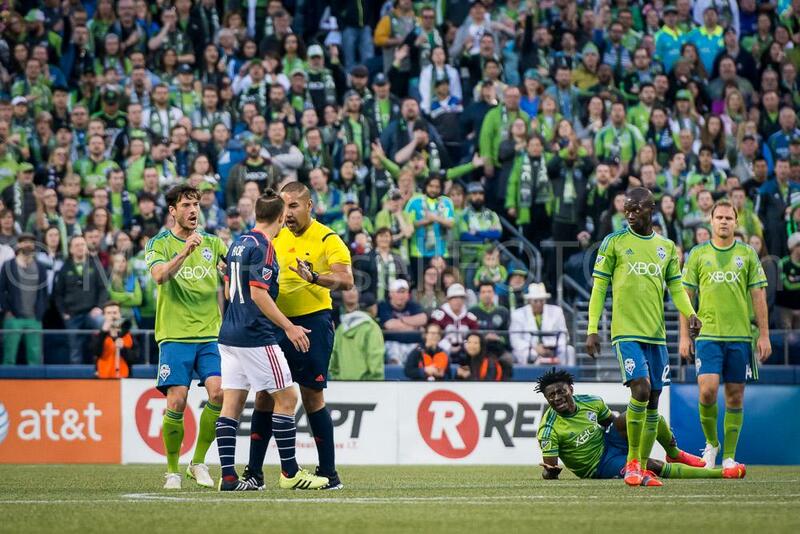 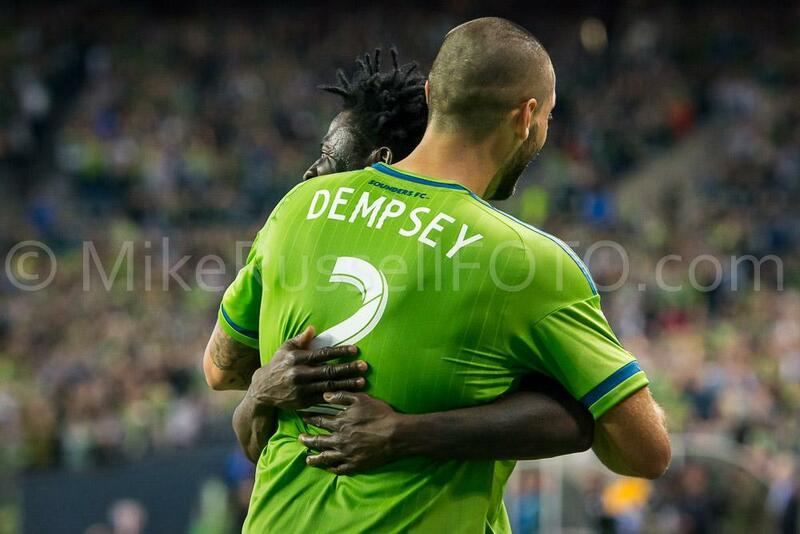 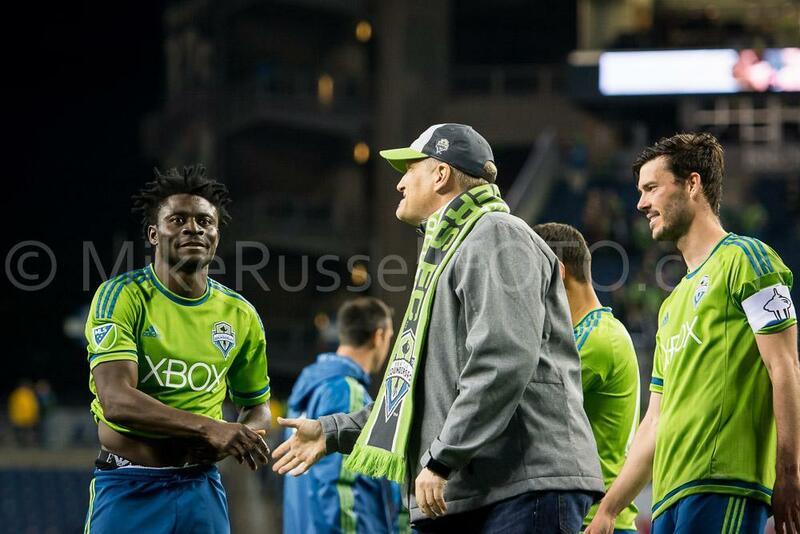 The deadly striker duo of Clint Dempsey and Obafemi Martins started up right where they left off last year. 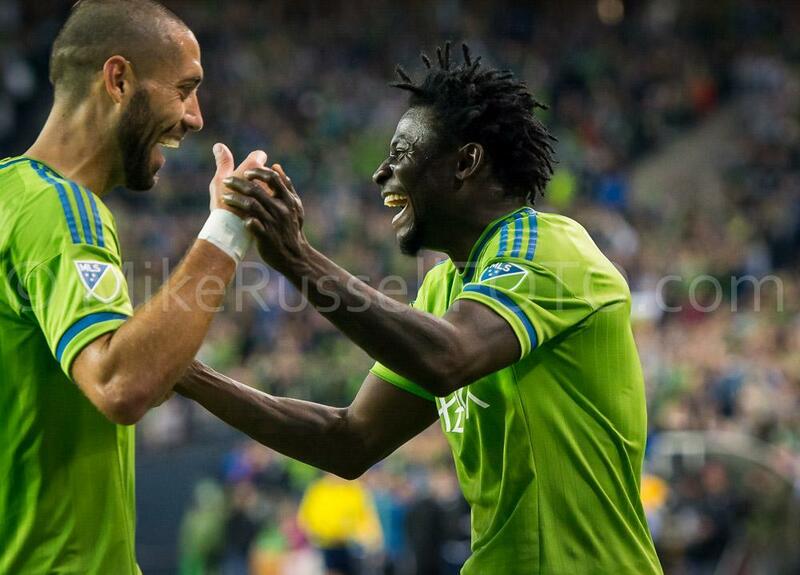 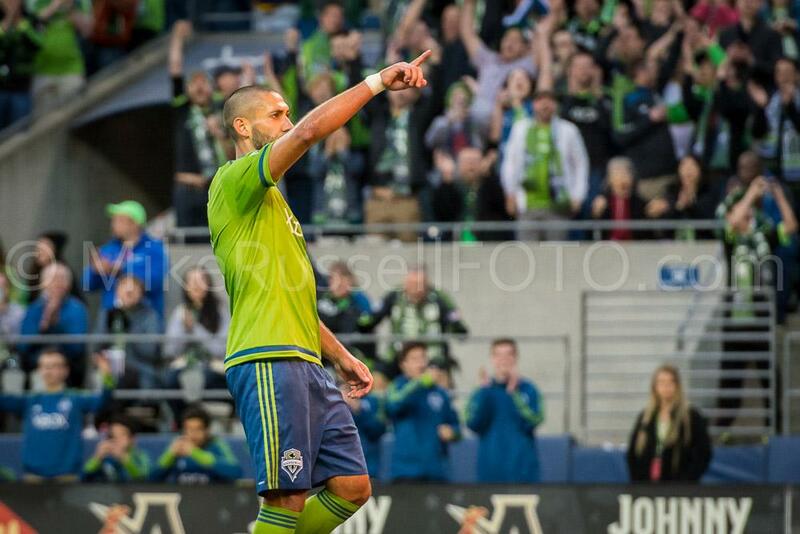 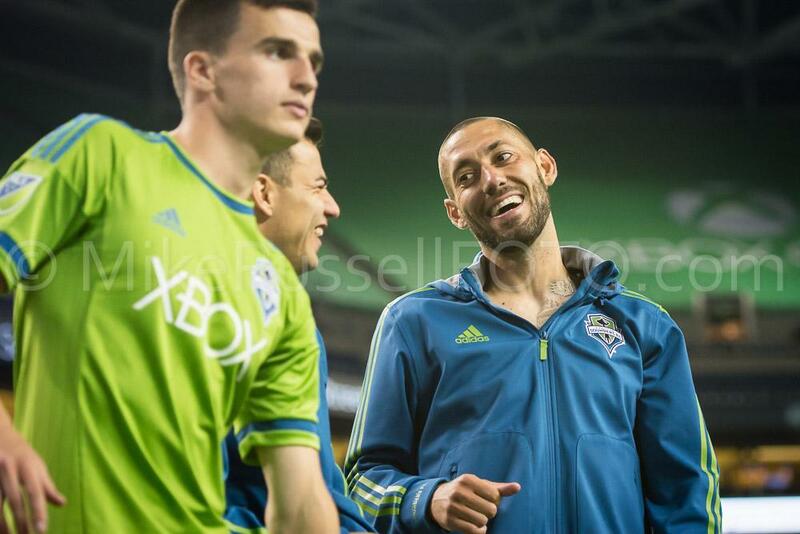 Dempsey scored twice and Oba added a goal and assist. 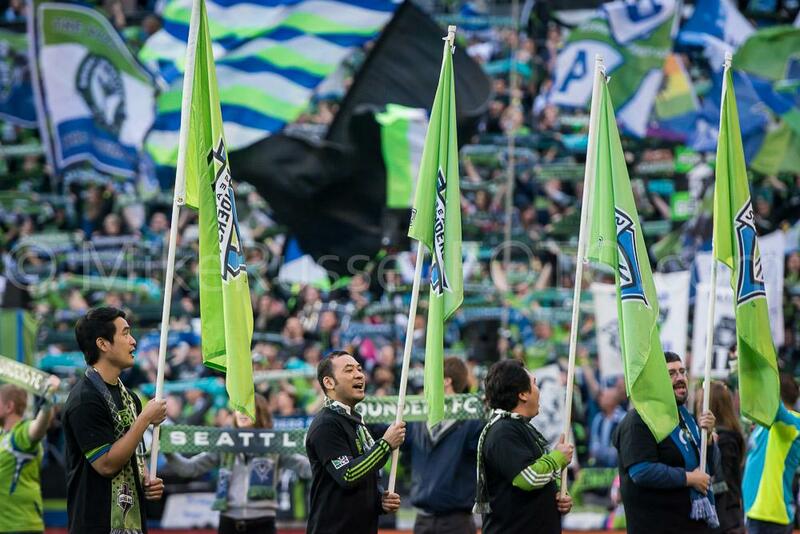 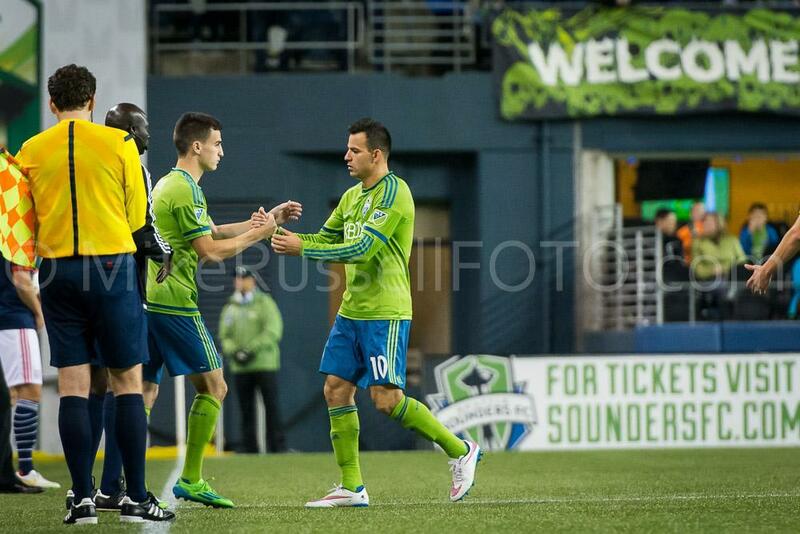 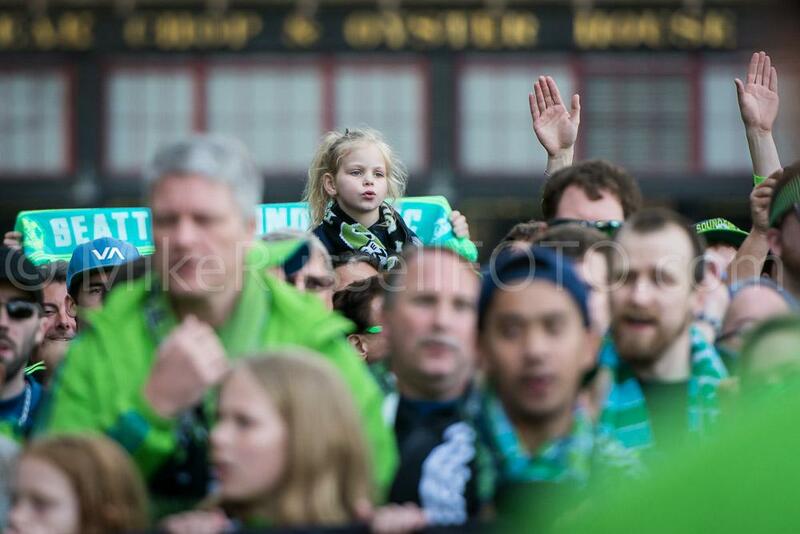 For more match details, be sure to go check out the match summary on Sounder at Heart. 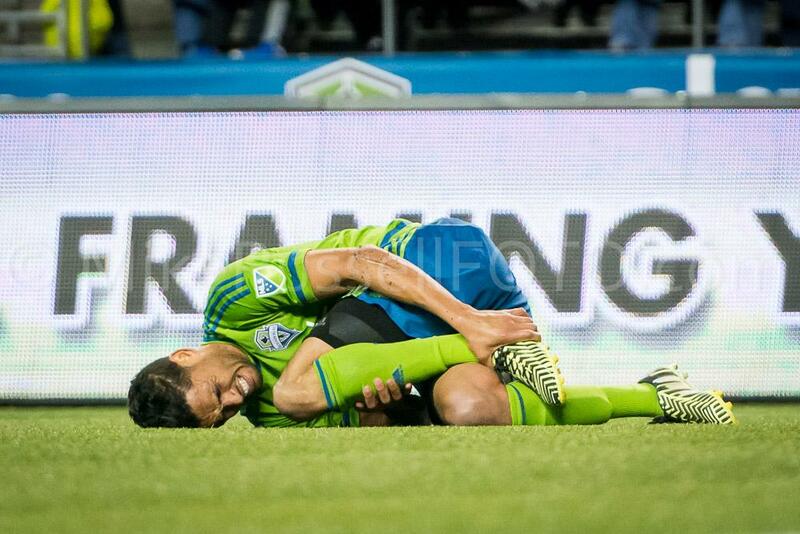 As for my night, it was another fun one, for obvious reasons. 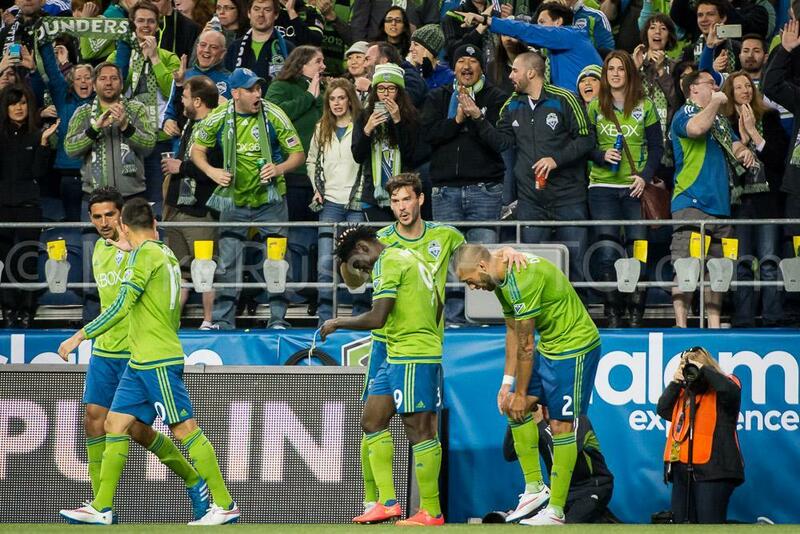 Sounders goals always make for an evening filled with merriment. 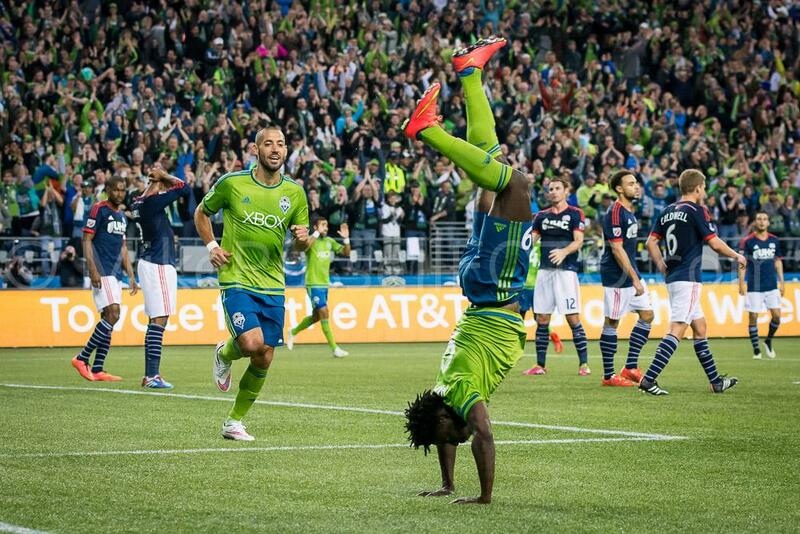 Oba’s pre- and post-flip celebrations are some of my favorites. 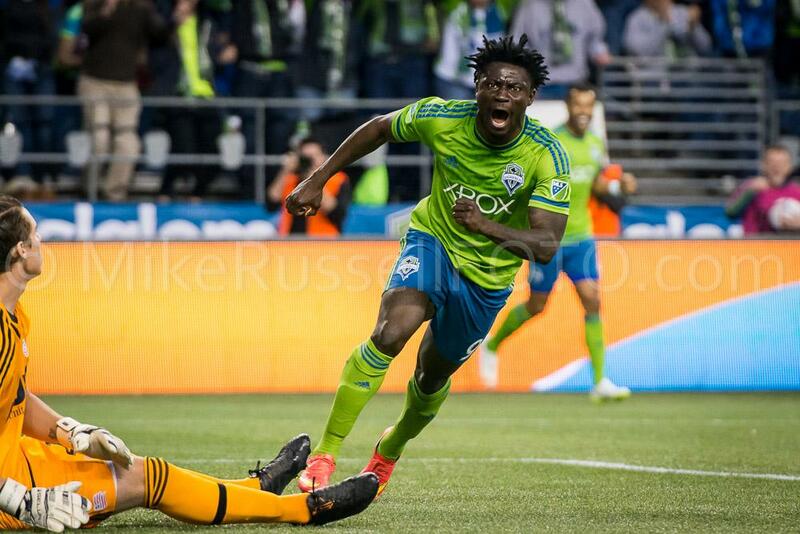 Don’t get me wrong, I definitely love the actual Obaflips. 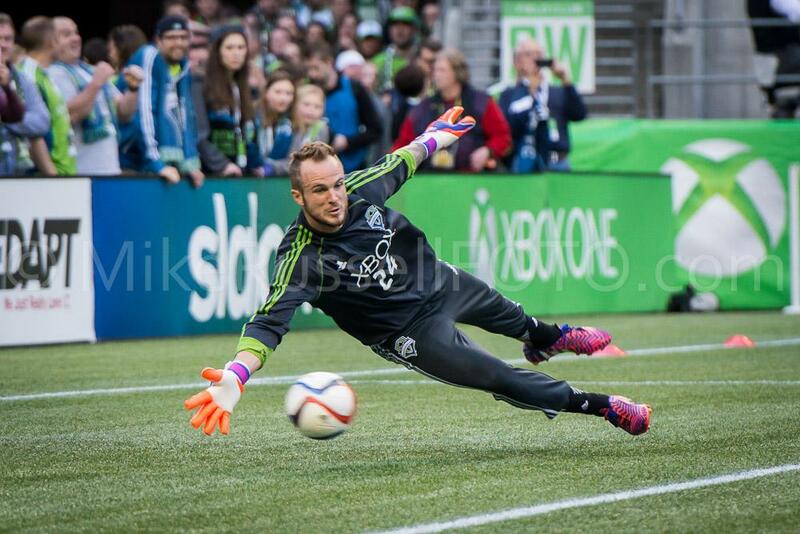 But the raw emotion and pure joy that he expresses while not flipping are truly priceless. 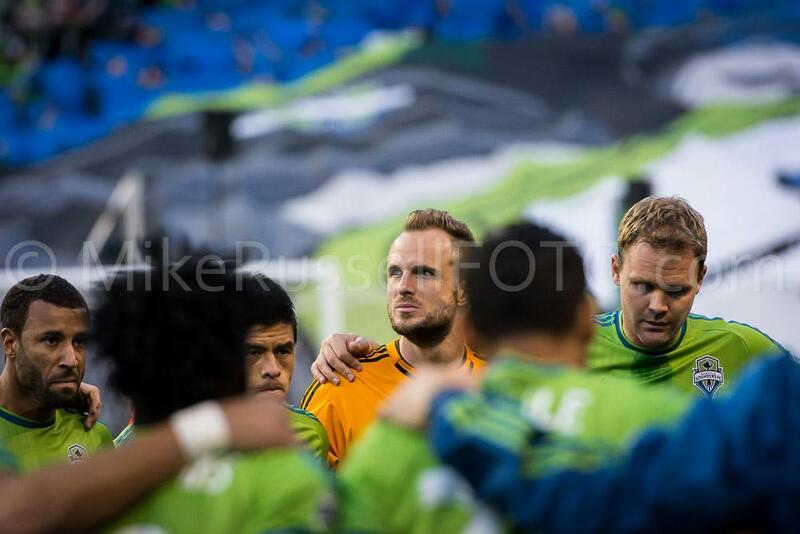 I hope you enjoy perusing these photos as much as I had making them. 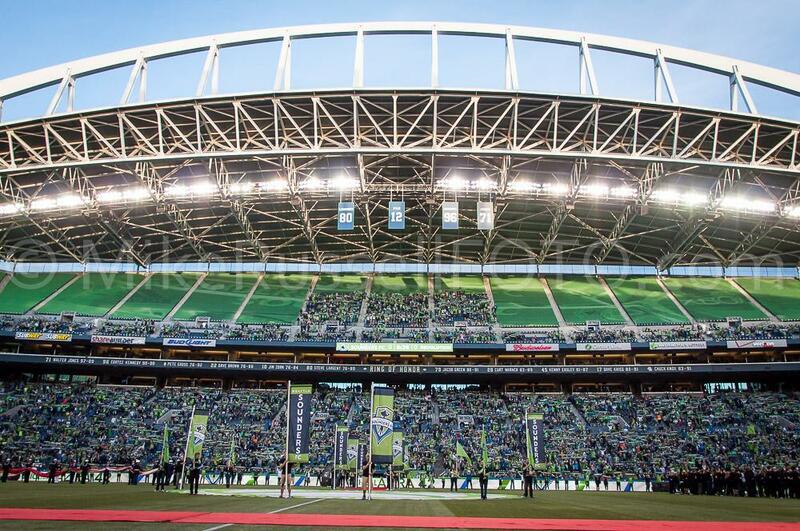 Aaron Kovar, Andy Rose, Ante Razov, blog, Bobby Shuttleworth, Brad Evans, Brian Schmetzer, CenturyLink Field, Chad Marshall, Clint Dempsey, Cristian Roldan, Diego Fagundez, Drew Carey, Dylan Remick, ECS, Gonzalo Pineda, Jose Goncalves, Lamar Neagle, Leo Gonzalez, Marco Pappa, Micheal Azira, Mike Russell, mikerussellfoto.com, MLS, New England Revolution, Obafemi Martins, obaflip, photo, photography, Sean Okoli, seattle, Seattle Sounders FC, SEAvNE, Sigi Schmid, soccer, sports, sports photography, Stefan Frei, team photo, tifo, Troy Perkins, Tyrone Mears.